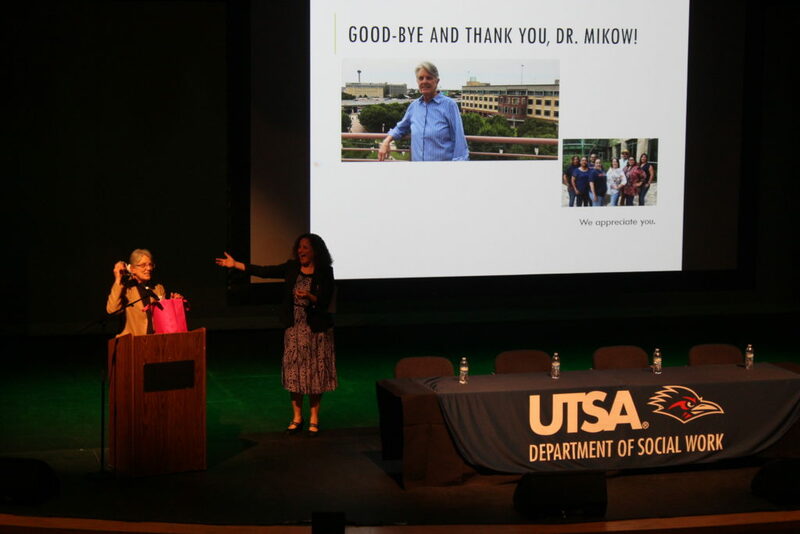 Mikow was the director for Title IV-E, a federal program that funds the social work graduate education of Child Protective Services (CPS) workers from Corpus Christi, TX. Through the program, CPS workers could earn their UTSA Master of Social Work degrees in order to get the specific competencies and skills to effectively intervene with struggling families and combat child abuse and neglect in the state of Texas. 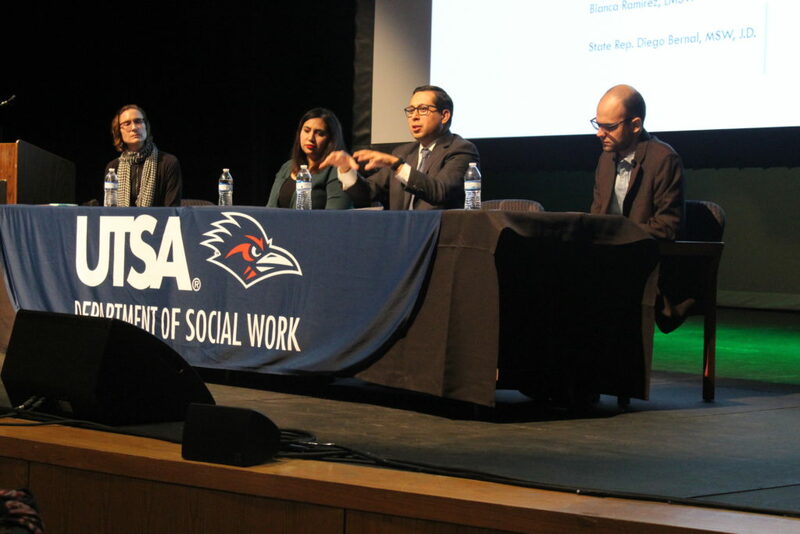 The Department planned a panel discussion on public policy issues related to the field of social work. 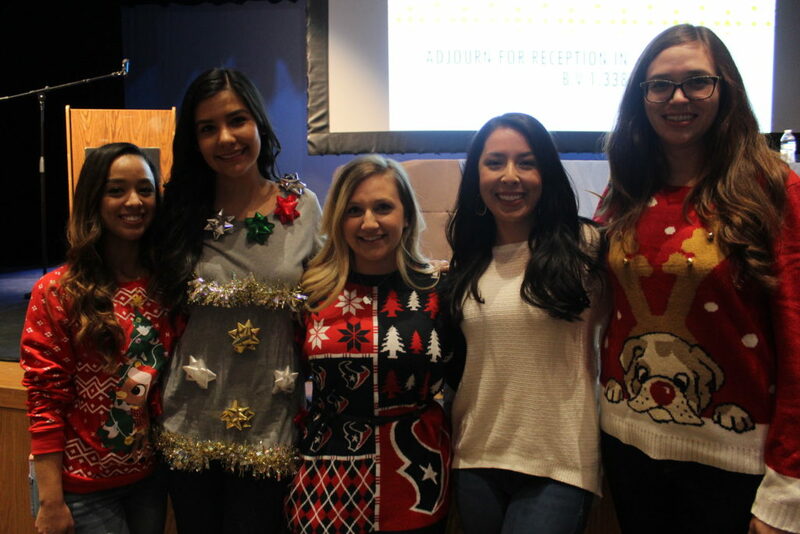 This year, the topic was “Looking ahead: social work mental health policy for 2019.” Guest panelists included Greg Hansch, Public Policy Director of NAMI Texas, which is the Texas affiliate of the National Alliance on Mental Illness; Bianca Ramirez M.S.W. ’16, a licensed Master Social Worker and Vice President of Legislative Affairs for the nonprofit organization Autism Society of Texas; and Rep. Diego Bernal of District 123 who currently serves as Vice Chairman of the House Committee on Public Education. The event was moderated by Janet Lantry, LCSW-S, lecturer, Department of Social Work. Hansch shared some best practices for effectively advocating to legislators and community leaders. He says those who want to be part of the movement for mental health reform must tell their story so that policymakers will listen and act. 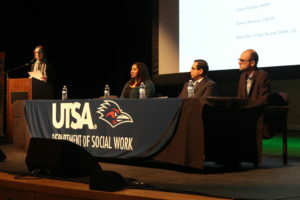 He also stated that many social workers do not receive the fair pay they deserve based on their workload, and incentivizing the social work profession by increasing social workers’ salaries could help attract more qualified individuals in the workforce to assist individuals struggling with mental illness. Ramirez urged social workers to contact their legislators and fight for improving the quality of mental health and extending medicaid to include ABA therapy for children who have autism. She also accentuated the importance of telling the story. Legislators are influenced not just by facts and figures but by personal stories of family members and other community members impacted by mental health policy. At the end of the event, Chanmugam recognized all the graduates and welcomed them into the Social Work Alumni Group (SWAG). The event concluded with remarks by class representative Amy Stage who recited a moving poem inspiring her class to continue the fight and advocate for solutions to the challenging issues facing our community. The words “keep on walking” demonstrated the many ways social workers work on behalf of vulnerable populations. 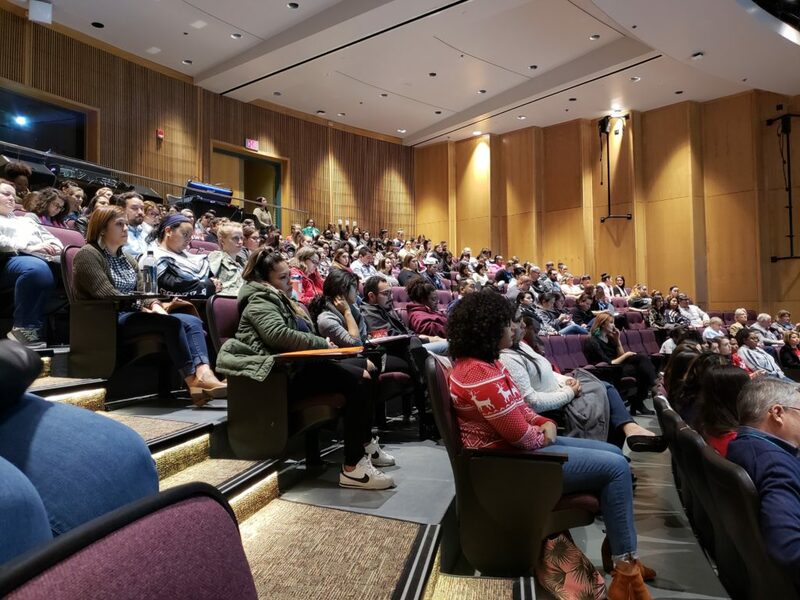 Special thanks to the Hogg Foundation for Mental Heath for sponsoring the Fall 2018 Last Class panel.